According to industry insiders, not content with making the phone in your pocket (US pockets excluded), Huawei is looking to get into your living room too, with an upcoming range of TVs. 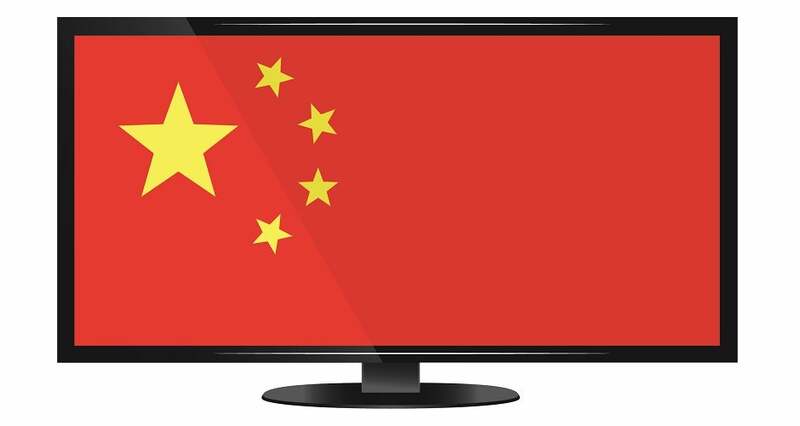 In a first for the Chinese tech company, it is reportedly looking at releasing premium smart TVs as soon as this April, as well as a range of budget models under its Honor brand. However, with the terrible year the company is having so far, is now really the best time to crack a new product market? According to industry insiders, Huawei has its sights set on the global TV market, and is looking to launch some TV models to retail as soon as April this year. The news, which comes from Chinese news site CNBeta, claims that the company wants to become established as a recognized audio visual brand, and intends to begin with two premium smart TVs. Sources also claim that Honor, a Huawei sub-brand, will produce a line of budget-priced TV models. When Huawei was approached, an official spokesperson declined to comment. Although, according to CNBeta, there is enough chatter and independent sources to imply that the rumor is well grounded. With a reported 200 – 300 people working for the company in its new TV research and development department, the focus would be on 4K and even 8K sets. One insider claimed that in an effort to attract attention away from mobile and tablet devices and back to TVs, Huawei is planning on adding some unique features. Although, at this point, it’s no more than speculation about what these could be. The rumors suggest that the brand will start slow, launching just a couple of models. We also wouldn’t expect to see them outside of China at the outset. However, as the company’s phone business has proved, it could soon snowball and be selling TVs internationally. And that’s where the trust issues come in. It would be fair to say that Huawei is having a bit of a rough time at the moment. From the arrest of its CFO in Vancouver for fraud and theft, its alleged ties to the Chinese military and government, plus its technology being removed from Western platforms such as the UK emergency services for ‘security concerns’, it seems the company is close to creating international incidents daily. Would this be enough to stop you buying an 8K Huawei TV? Even if you’d like one, the decision may be taken out of your hands. Huawei produces some outstanding phones, including the Huawei P20 Pro – but US consumers can’t get their hands on them. That’s because US network providers refuse to stock Huawei devices, due to security concerns. The same may yet prove true with US TV retailers refusing to stock Huawei TVs. Can a TV Spy On You? The concept of TVs spying on you might seem to be ripped from the telescreens of George Orwell’s dystopian 1984. But, the reality is that it’s already happened, with several key manufacturers caught collecting data on their customers. In February 2017, the Federal Trade Commission revealed that Vizio had spied on every one of its customers who owned a smart TV. Rather than contest the revelation, Vizio instead opted to pay $2.2 million in damages and promised to stop its tracking. Vizio had been collecting data about what viewers were watching and when, compiling huge databases of information, and selling it onto advertisers. Vizio claimed it had done nothing wrong, as individuals weren’t able to be individually identified through the collected data. But, the incident was still enough for the FTC to put its foot down. This isn’t something unique to Vizio, either. Many TV manufacturers use ACR (Automated Content Recognition) to identify the material being watched and make recommendations based on past viewing habits. It’s this information that is highly sought after by advertisers. Usually, owners can opt out of this upon initial setup, but at the cost of some features. Many argue that the option is too buried, and new owners simply accept ACR in order to quickly get their new TV up and running. Even if your TV manufacturer isn’t spying on your habits, the technology actually exists for others to use a TV to spy on what’s going on in your living room. In 2017, Wikileaks revealed a purported method of eavesdropping, dubbed ‘Weeping Angel’, which it claimed had been implemented by US and UK intelligence agencies. According to Wikileaks, this was a way to collect information via microphones in TV sets, even when the TVs appeared to be turned off. While China’s tech industry has made huge inroads into the consumer space with its mobile devices, thanks to the likes of Huawei and Xiaomi, its TV success is severely flagging behind. Asian neighbors Korea and Japan have dominated the TV market for decades, with huge brands like Samsung, LG and Sony all not only recognized household names in the United States, but also trusted bands that are synonymous with high quality. While some Chinese brands have made a small impact with American retailers – such as HiSense and Haier – they have a long way to go before they can boast the recognition of the Japanese and Korean mega-brands. With Huawei achieving international recognition for its phones, it’s not too hard to believe the company wants to follow up with TVs, and more besides. For further reading, check out Tom Fogden’s excellent breakdown on the history of Huawei and why it is so widely treated with caution and apprehension: Is Huawei a Genuine Security Threat?